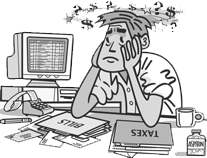 Are you tired of manual paperwork and accounting? Are you spending too much time tracking your store transactions? Simplify store accounting by eliminating paperwork and manual mistakes. 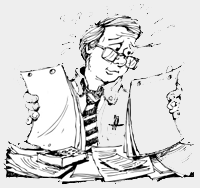 Daily reports can also be printed, upon preference. Access software anywhere, anytime and on any device. Keep track of your daily business on the go. Save time for your employees and yourself. Get the data you need to smartly & efficiently keep track of your business and accounting. Keep the data secure in case you lose your computer or hard disk. Your data will be safe, secure and backed up in the cloud. All the Scratchoff books and daily tickets sales will be tracked. Lottery weekly settlements will be reconciled to the penny with your state's lottery system. Your daily scratchoff can be scanned or entered directly into our system. It will save time and reduce errors. Making sure that you are making money in fuel can be tricky. 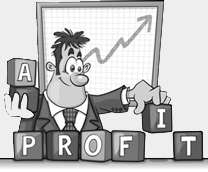 With our system you can keep track of profit & see exactly how much profit you made in fuel. You can also manage and keep track of the Jobber EFTs. Credit cards can be reconciled to the batch and help assure you that you get the credit in your account. You can also keep track of loyalty programs for fuel and gift cards. Keep Track of Bank Transactions. No surprises. Find out all the transactions that are pending in your bank and reconcile it every day to stay on top of your bank transactions. It will keep track of all the transactions and fees so that you’re not overcharged. ... and many other independent store owners. Retail businesses like Gas-stations, Convenience stores, Liquor stores, Tobacco stores use Elistars to manage their business smartly, effectively, & efficiently. Do I need any special Hardware or register? Elistars users do not need to invest in any hardware. You can access Elistars by using any computer, iPad, or Smartphone. All You need is Internet access and an internet browser (Google Chrome, Firefox, Microsoft Edge, or Internet Explorer) to get started. Elistars only costs about $1.50 per day (when paid anually) to use. There is no long term contract to use Elistars and you can choose to stop using Elistars without any penalty. How much time would I spend daily on Elistars? It takes an average of 15 minutes to update Elistars with your daily store data. You will also have access to all present and past data at one location. Elistars values our customers and their business. We pledge to constantly upgrade the application to provide the latest solutions to your problems. We at Elistars will strive to provide our customers the most cost effective tool to run their business smartly, effectively, & efficiently. Lottery tracking itself saves more than what I pay for. Elistars is the best value for Money investment I have made for my Business. With Multiple Store Location, Elistars is the heart of my operations. It has never let me down. I confidently recommend it to all store owners. Elistars strength is in its Simplicity. I call it common sense accounting. This single application manages my entire Retail Business.